Staff were very helpful, except they didn’t have a room allocated to me when I arrived at 1am. Very friendly staff. Good location near shops, beach & restaurants. 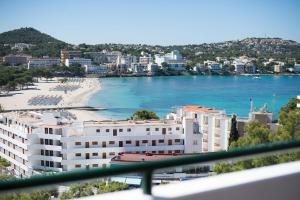 Nice apartment with beautiful views over Santa Ponsa bay. Excellent value for money. Location was perfect, very central for the beach, restaurants and shops. Staff are very friendly and helpful. Room was lovely and big, modern and clean. We didn't cook but it seemed like there was plenty of utensils. Room was cleaned every second day. For the price, Sun Beach is money well spent! I have stayed here over the last four years and have found the cleaning staff and the reception staff very friendly and helpful. Excellent staff, spacious apartaments. Many thanks and greetings to Oxana at the reception! Location was good, not far from shops nightlife and beach. Staff were friendly and the rooms were spacious and modern. Good value for a cheap break away but not if you want luxury. The location of Sun Beach is perfect, right near the beach, bars and shops. We were amazed at the size and quality of our apartment given the price we had paid , it was very modern , clean and well equipped with everything we needed for our 6 night stay.The staff at the hotel were very friendly and super helpful. Location and cycling friendly..friendly and helpful staff..accommodation.. large terrace. Lock in a great price for Sun Beach – rated 8.4 by recent guests! 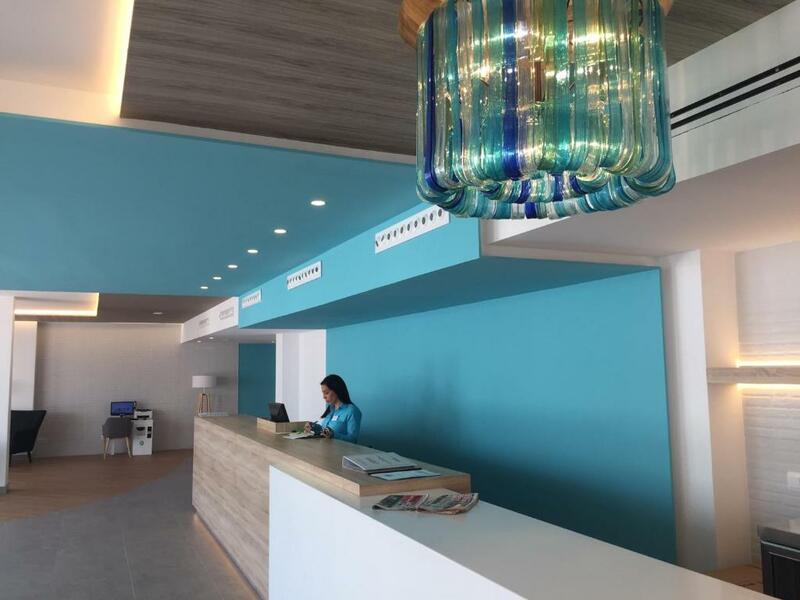 Sun Beach This rating is a reflection of how the property compares to the industry standard when it comes to price, facilities and services available. It's based on a self-evaluation by the property. Use this rating to help choose your stay! 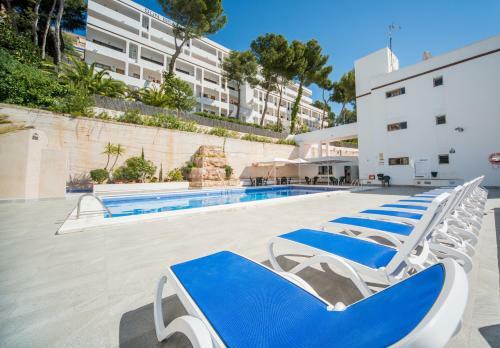 Conveniently set in the center of Southern Mallorca's popular Santa Ponsa resort, this apartment complex lies just 250 feet from the sunny beaches, and has its own outdoor pool. Make yourself at home in the Sun Beach's functional apartments, where you can soak up the sun from your private balcony. Enjoy a day relaxing on the nearby beach, or take a cooling dip in the Sun Beach's outdoor pool. Near the complex you will find the Santa Ponsa Golf Club, and a sports center where you can have a game of tennis, football or squash. 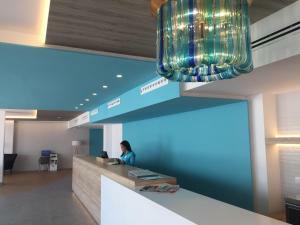 The hotel is well located in the town center, where there is a variety of bars, cafés and restaurants. 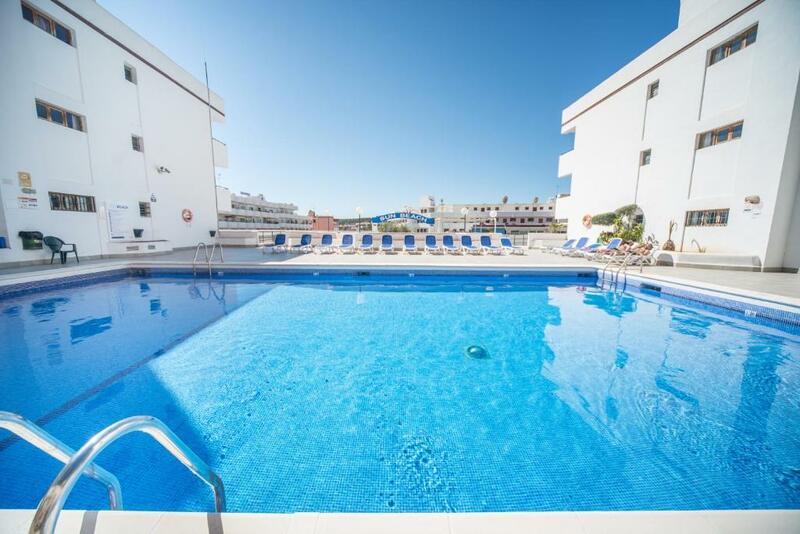 The Sun Beach is set opposite a taxi rank and bus stop, and features 24-hour reception - ideal for trips to the capital, Palma. 뀐 Located in the top-rated area in Santa Ponsa, this property has an excellent location score of 8.7! When would you like to stay at Sun Beach? These apartments have a balcony or terrace. There is a living-dining room with sofa bed and an open-plan kitchen with microwave, electric hob and fridge. Kitchenware and appliances are included. The bedroom has twin beds and a bathroom. A safe is available for an extra cost. Cleaning and change of towels is done every 2 days. Bed sheets are changed once a week. 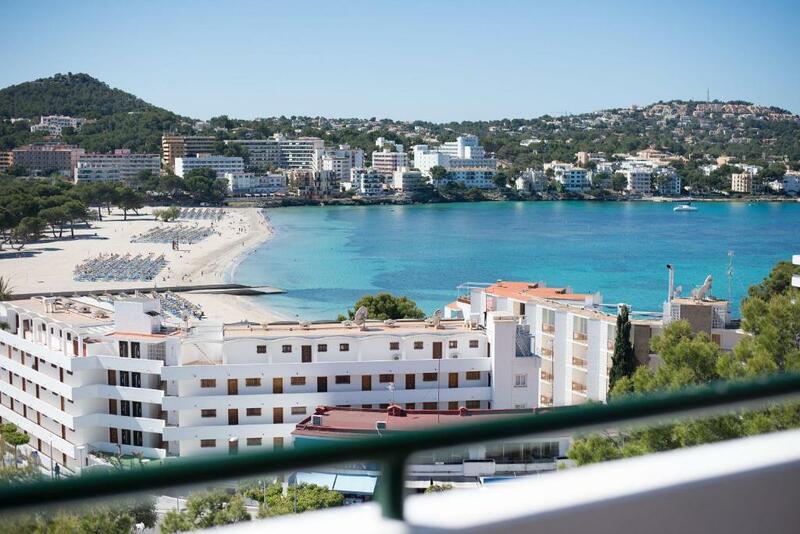 Offering views of Santa Ponsa Bay, these apartments have central heating and a balcony or terrace. There is a living-dining room with sofa bed and an open-plan kitchen with microwave, electric hob and fridge. Kitchenware and appliances are included. The bedroom has twin beds and a bathroom. Featuring a large, private terrace with hammocks and views of Santa Ponsa Bay, these apartments include a living-dining room with sofa bed and an open-plan kitchen with microwave, electric hob and fridge. Kitchenware and appliances are included. The bedroom has twin beds and a bathroom. A safe is available for hire. This apartment features a dining area, seating area and microwave. Please note, only children 10 years old or older can stay at the property. This apartment features a toaster, kitchenware and flat-screen TV. This apartment has a tile/marble floor, microwave and seating area. This apartment features a electric kettle, toaster and tile/marble floor. This apartment features a kitchenware, air conditioning and dining area. The Sun Beach apartments are the perfect accommodation for a fantastic holiday in Mallorca thanks to its modern and well equipped facilities. Adults and children from 10 years old will enjoy our beautiful location, a few meters from the idyllic beach of Santa Ponsa and surrounded by a great offer of leisure and cuisine. Without a doubt, a wonderful mix to spend a great beach holiday. House Rules Sun Beach takes special requests – add in the next step! Sun Beach accepts these cards and reserves the right to temporarily hold an amount prior to arrival. Please note that parties are not allowed at this property. Please inform Sun Beach of your expected arrival time in advance. You can use the Special Requests box when booking, or contact the property directly using the contact details in your confirmation. Smell of drains in room 611. Beds extremely hard and uncomfortable, only one pillow too so hardly slept. Rooms only cleaned once during 4 night stay although clean towels were available at reception. The bottom bed sheets weren't big enough to tuck in properly so the sheets became uncomfortable. The water was hot! The beds we're comfortable and the staff were very responsive to our requests and needs. Accomodation service could talk just in Germany and could not understand English. The place was very good and the end of bus stations from airport. We were in an apartment next to the lift so there was a lot of people passing our terrace, although the lift itself wasn't too noisy. The large terrace with sunbeds. The view from the terrace and almost everything else. Nothng really. Everything was very good for us.